We have all read them. Internet Memes that promise that you can grow your own food forever. Actually, in some cases they are. Others depend on how good a gardener you are. When I was a wee brat, I had pots and plants all over my bedroom. Along with fish tanks and the sort, there was always something growing, living, bubbling. The room was always a little more humid than the rest of the house which was great in Winter I guess. Those Suburban South Jersey split level tract homes could be rather dry, even if you had the bedroom over top of the garage. I guess I had some luck with growing flowers. I had a marigold bloom that grew in a thimble sized pot once with a tiny little flower that surprised me. But this was a surprise. The meme said that there was a list of food plants that you could grow from the root portion of the plant. This promised to be a "forever" thing, if you got it right and used them well. Carrots, Onions, Green Onions, and Celery, as well as a laundry list of other things. Green Onions. We would get a package of them and end up tossing some of them every time. There is an ongoing "discussion" here about green onions. When I was growing up you used up the entire plant. Green leaves and the bulb. Nothing was wasted. Others would only use the bulb and leave the leaves in the trash. I decided to stick those extras in a pot. They started to grow. I would cut a leaf off when I needed some green onion for my Pizza or what ever else I was making. They kept growing. In fact, the problem I have now is that the plants are a bit too prolific. I have two pots that have green onion in them and we don't use that much in the way of greens. One of the plants in particular must have been very happy because it sent up a little spike that bloomed. 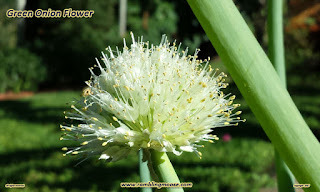 I never thought too much of a Green Onion as a garden flower, but this was a rather beautiful white and green tinged puff that came up in the pot. All of this out of some plants that I rescued from the trash. So yes, as for this Meme? You can grow them over and over. If you do, you can just stick the extras in the soil. As for recipes, the green portion tastes the same, the white is there for crunch. Simply leave a little bulb on the bottom of the white portion of your Green Onion and you may get good results. 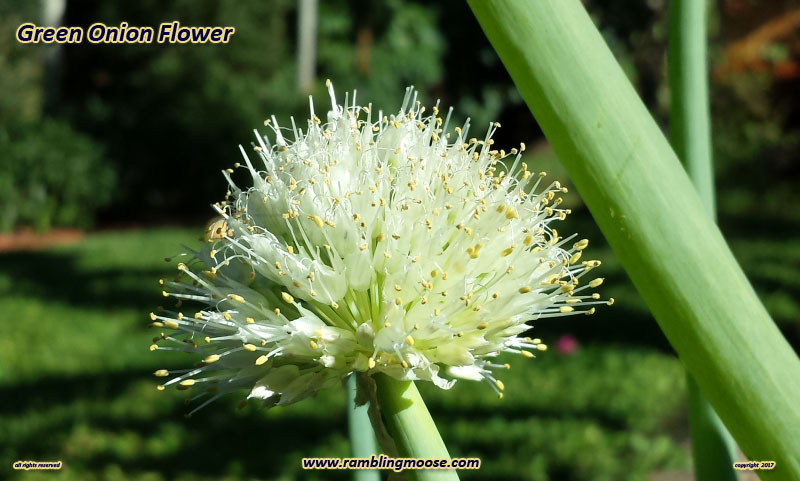 The suggestion with regular onions is to slice about 1/2 inch or 1.5 cm above the bottom root portion, and stick it in water until you see growth. If you do get some root stock showing, then you can plant that and later get another onion. Bottomless, never buy vegetables again? I won't go that far but I certainly can't see buying Green Onion in the next trip to the grocer, that's for sure!